Yamaha Motor Awarded India Design Mark for 8th Year Running, Second Award for Indian-Market YZF-R15 Motorcycle - News Releases | Yamaha Motor Co., Ltd.
IWATA, April 2, 2019-Yamaha Motor Co., Ltd. (Tokyo: 7272) announced today that the YZF-R15 motorcycle - produced and sold by Yamaha Motor's India subsidiary, India Yamaha Motor Private Limited (I.Y.M) - has been awarded the India Design Mark (I MARK) sponsored by The India Design Council. This honor marks the eighth year in a row - every year since the inaugural awards in 2012 - that a Yamaha Motor product has received the I MARK. 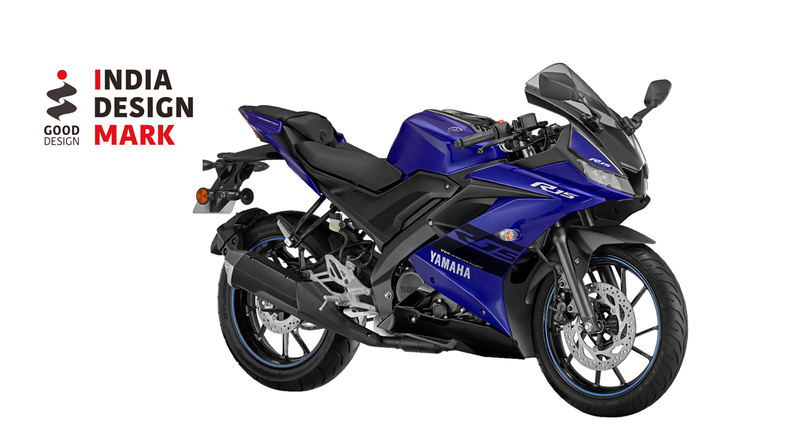 In addition, this is the second award conferred on the YZF-R15, after its recognition in 2012. The India Design Council is affiliated with the Indian Ministry of Commerce and Industry, and has established the India Design Mark design award (corresponding to the G Mark, Japan's Good Design Award) through a partnership agreement with the Japan Institute of Design Promotion. The inaugural round of applications and assessments was held in 2012.